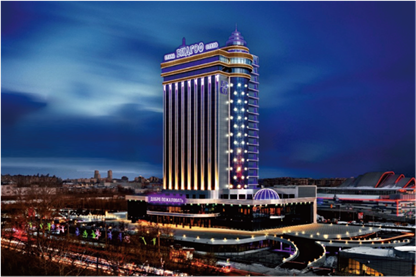 Grand Hotel Vidgof is one of the most high and modern building in Chelyabinsk, Russia. 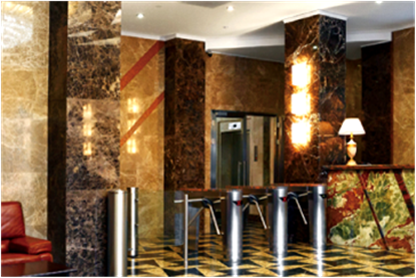 Five stars Hotel of 139 rooms, business center, restaurants, ultra-modern fitness center, built-in car parking. They need access control and time and attendance management for 1500 workers, 200 hotel guests, and more than 500 visitors every day. High modern building in the middle of big industrial city, five-stars hotel with outstanding service, one of the best fitness-centers, restaurants and business-center. This combination imposes many requirements to access-control system. 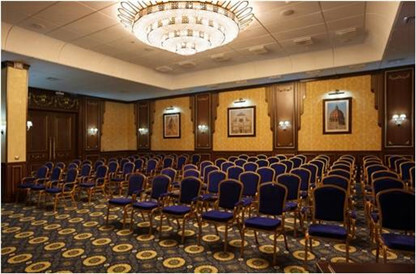 The highest security level, due VIP persons and visitors safety and comfort. Time attendance system for own personnel and companies which rents business-center as additional service. Need to divide access to each level of building, exclude public places, not only at floor door, even an elevator unit.